USA: California votes to enact TV energy regulations | What Hi-Fi? The Appliance Efficiency Regulations Pertaining to Television Efficiency will come into force on January 1, 2011, and require TVs up to 58ins to reduce energy consumption by an average of 33%. A second stage, due two years later, will reduce consumption by almost 50% of current levels. In a session delayed two weeks by a last-minute submission by America's Consumer Electronics Association, the California legislature dismissed CEA claims that the law will inhibit the development of TVs by forcing manufacturers to leave out new features with a potential impact on energy consumption. The CEA had also argued that the voluntary Energy Star programme enacted by the US federal government is already being followed by most manufacturers, and that many sets on the market already meet the 2013 California standards, thus making the new legislation unneccesary. Energy legislation set by California tend to set the standard for other US states' policy, and those who were opposed to the new regulations have expressed fears other legislatures could enact similar laws in the future. Calfornia's Energy Commission says the new rules should save enough energy to power almost 850,000 homes in the state over the next decade, and will save consumers more than $8bn in the same period, or nearly $20 a year for each new compliant TV. The claims are refuted by consultants for the consumer electronics industry, who say they are based on flawed calculations. 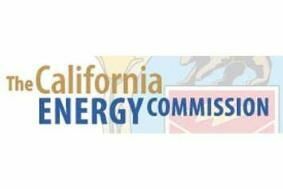 In a statement reacting to the California move, the Consumer Electronics Association said it was "extremely disappointed in the CEC's decision to regulate TV energy use. Simply put, this is bad policy – dangerous for the California economy, dangerous for technology innovation and dangerous for consumer freedom. "Instead of allowing customers to choose the products they want, the Commission has decided to impose arbitrary standards that will hamper innovation and limit consumer choice. It will result in higher prices for consumers, job losses for Californians, and lost tax revenue for the state." It promised to "continue to pursue legislative and legal solutions to ensure that California citizens will not suffer the consequences of this misguided policy."